Question : How long did it take to develop Tegra and how much of Tegra was developed in India? How much did NVIDIA spend on its development? Answer : Tegra took us 5 years to develop. We wanted to create a computing platform that has as good a mobile experience and better a multimedia experience than existing PCs, at 1/50th the power. It cost us half a billion dollars to develop. We have 3 design centers Pune, Bangalore and Hyderabad. Hyderabad’s entire design center is working on Tegra, and a lot of the work on Tegra has been done there, chip design, algorithm development and software. The Pune center has also done some work on Tegra. 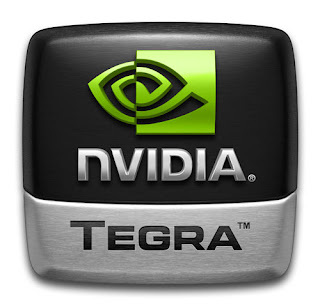 Question : Are there any more Tegra devices being worked on? Do you have any Tegra prototypes out here? Answer : What would you say is the chip’s forte? There are some 50 Tegra projects we’re working on. There are prototypes, but nearly all of them are in-house working samples. There are several things that the Tegra is very good at – computing performance is very good - that is running the OS, the browser, it’s almost as good as a PC, it’s also very good at HD and HD graphics, the graphics is better than most PCs. Compared to the competition we can support HD video, HD video streaming from the web, Flash 10 streaming and Flash 10 graphics very easily. We’re a visual computing company (as you know) and so our focus is building devices with great visual computing experiences. Question : What would be the power consumption of Tegra compared to Atom? What was the thought behind the dramatic reduction in power consumption? Answer : If Atom gave you eight hours in a netbook, Tegra would go a week. And the performance is comparable. The Tegra 650 would consume a few hundred mill watts at full load – negligible. In a typical PC the display consumes around 10~20 per cent of the total power consumed. With Tegra in a PC, the display would consume 95 per cent, nearly. And that makes sense – because your display is the only thing your eyes can see and what is really important to you. Your eyes don’t see electrons moving inside your PC, do they? If you can’t see it, why are you paying for it? Question : Quite true…so would you say Tegra is the Atom killer? Answer : You know, we don’t think about killing. At least I’ve been brought up believing that killing is wrong. What Tegra is, is a mobile computing enabler. Creation is what we’re looking at, not destruction. Question : What platforms will Tegra support? Answer : We’re working very hard with support for Google Android and Windows Mobile. Question : No plans for Symbian? Answer : No. It’s just too old. You need a real OS to support a real computing platform and Symbian support is not on the cards. Answer : Maybe it’s because the Zune HD has sold out (laughs). Seriously, I think the solution to that problem is to simply make more devices. Eventually some of them will filter down, as market acceptance picks up, prices will fall too, especially given competition. If Samsung, for example, doesn’t want to sell devices like the M1 in India, it just creates an opportunity for someone else. Question : Is there any device in the pipeline from NVIDIA, based on Tegra? Answer : Not really, and the reason for that is every time we develop a chip, we start from the device and work backwards. We really imagine the device and then get down to building a chip to get us there. If nobody’s willing to build it, we’ll build it. Question : Intel has plans for “Moorestown”, a similar SoC chip, slated for 2010. Any thoughts? Answer : You can try to make a truck a smaller, but it’ll still be a truck. If you want to build an electric car, don’t start with a truck…just build an electric car. The only reason you would want to start with a truck, is if you feel there is no market for electric cars, and you don’t want to over-invest. But if you feel there is a huge market for it, you just go out there and build the best electric car; anything else is just bad strategy.